The heads of GM is responsible for this. There is NO REASON to close the plant. Are they hurting? Trump is literally losing his **** this morning over TV shows. TV SHOWS. Because his favorites have been suspended from Fox and because a rerun of SNL mocked him. 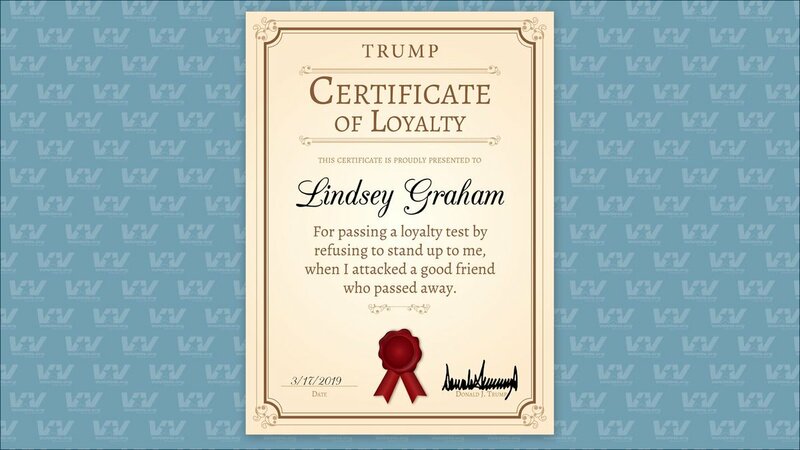 Donald Trump tested @LindseyGrahamSC’s loyalty, this past weekend, by relentlessly attacking @SenJohnMcCain, to see if Graham would call him out. Congrats, Lindsey, you passed Trump’s test. Feel free to frame this. the latest crockinbull BS from the democrat serving msm on their old trump disrespects McCain playbook. yeah, McCain was a war hero but what the msm schtootzes could never figure out is that we were more than capable of separating McCain's wartime heroism from his later sniveling weakness as a rino. he is the main reason that after regaining control of the senate the GOP could do nothing on immigration...because of him! the GOP found itself unable to rely on him because of his chronically unreliable loyalty to his own party. of course the liberal msm adores him and fakes crocodile tears at him being disrespected by trump. he's the best rino anyone ever saw. The Far Right Is Obsessed With a Book About Muslims Destroying Europe. Here’s What It Gets Wrong. 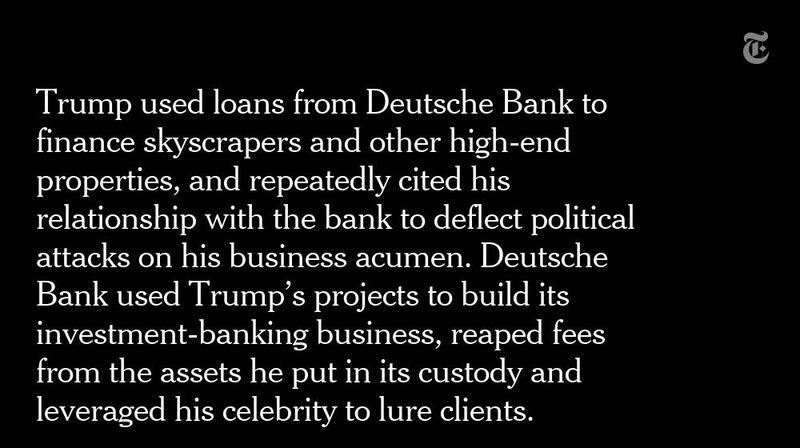 and a bank with intractable financial problems and a history of misconduct. I wish Donny had put out his own brand of Holland-made dutch chocolate. Don’t assume that the things he says and does are part of a rational plan or strategy, because they seldom are. Consider them as a product of his pathologies, and they make perfect sense. As alarming as Trump’s behavior is reckless & unreliable, it’s increasingly disturbing our political system lacks the requirement to act when a leader’s mental health is increasingly erratic. Reportedly that's not all this lady has been up to. 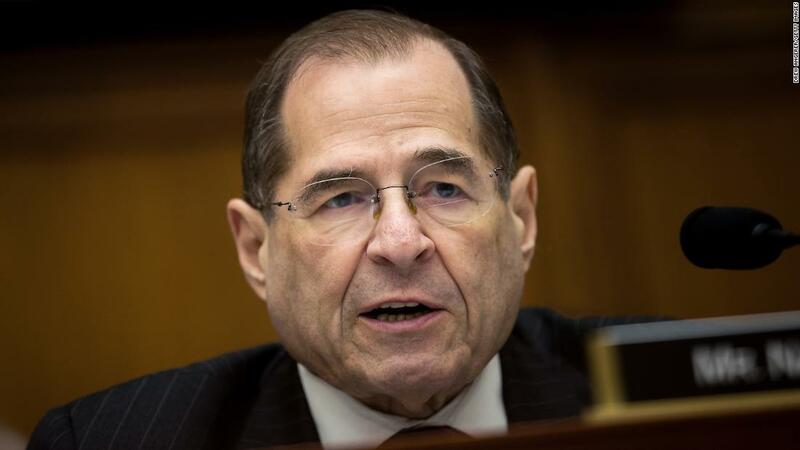 it's enough to make Nadler lose his jaundiced facial palor. It is beyond amazing that POTUS continues to double and triple down on attacking McCain. Maybe he's trying top find the breaking point for Republicans such as Lindsey Graham. Apparently, he's not there yet. ... a man who believed in a cause greater than himself...in putting America first,"
Every single senator should speak up regarding their former colleague, Senator McCain. No matter the side. They also should censure POTUS on his latest remarks. This would make the statement: we must be better than this. Anything else is cowardly and speaks to a lack of honor. Herr Trump now claims credit for the McCain funeral! He says “as president” he had to “approve” it. BS! Lying in state at the Capitol was up to Congress, not POTUS. This despot has the gall to say a hero’s burial is within his control. in Brazil, N. Korea, Philippines, Russia and Saudi Arabia. 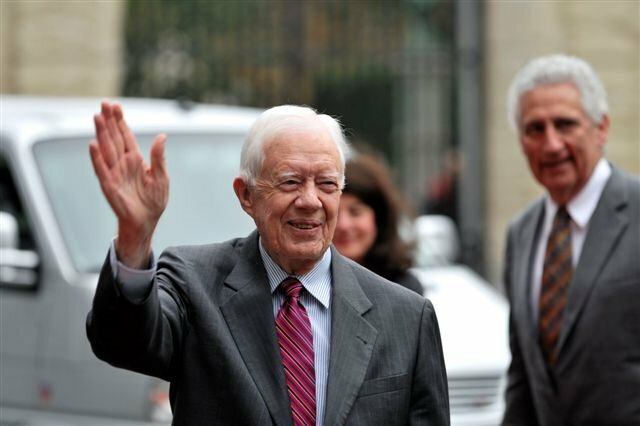 the President of the United States went after a former Republican senator (and former GOP presidential nominee) who not only served in the Vietnam War but spent years of his life being tortured in a North Vietnamese prison camp. And this is a President who received several deferments during Vietnam, including for bone spurs. In an interview with The New York Times in 2016, Trump called the condition "temporary" and "minor." There are certain things that are right and certain things that are wrong -- whether you are a Democrat, a Republican or somewhere in between. And attacking a dead man who spent five years as a prisoner of war and another three decades serving the country in elected office, is simply wrong. 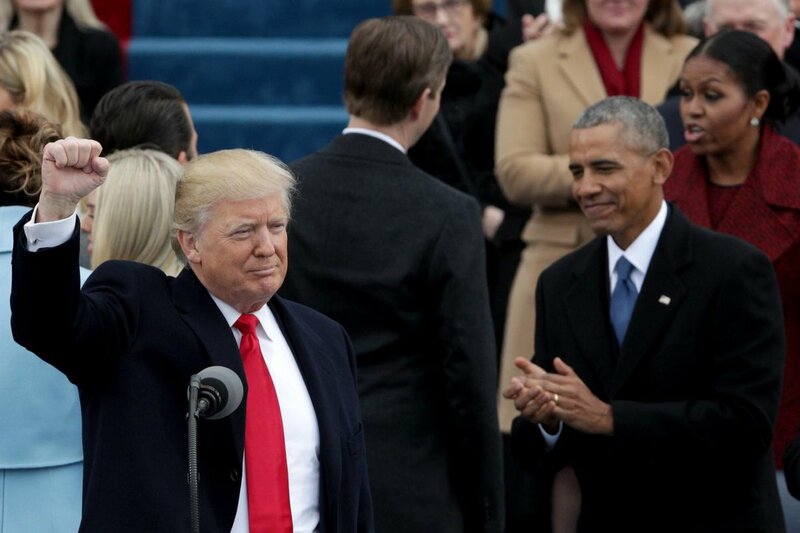 Trump proudly embraces his smashing of political idols. 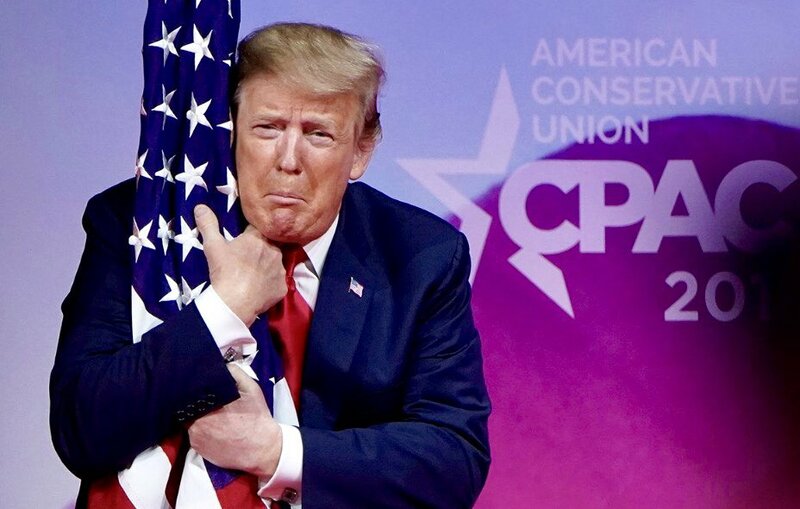 Desecrating the old ways of doing things -- and doing so gleefully -- he believes is at the root of his political people. It says, he thinks, that he won't let the rules that past crappy politicians have lived by govern him. 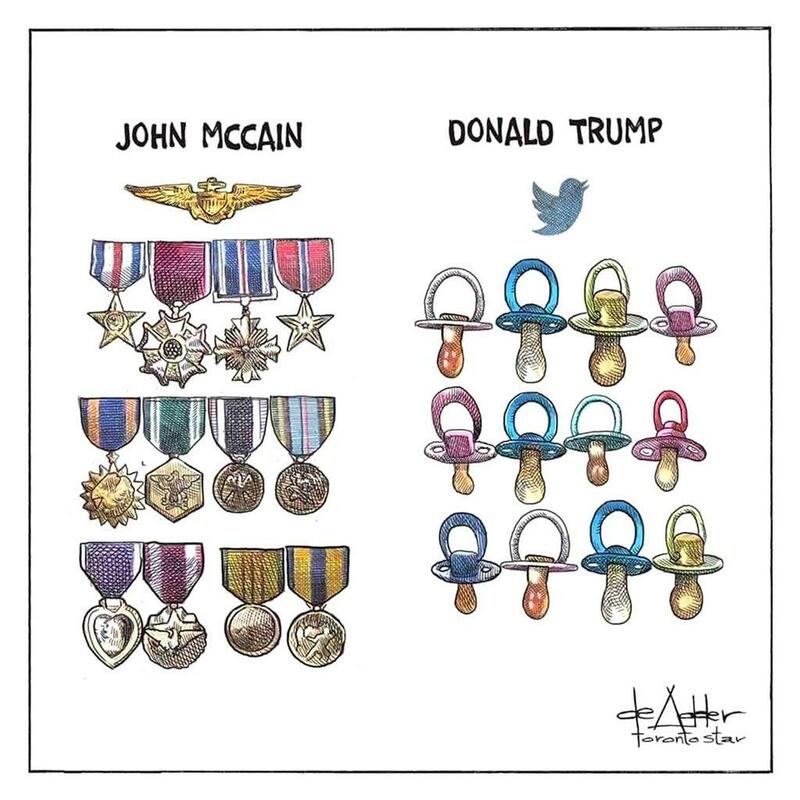 But what Trump's comments about McCain should remind us of is this: Whether there is political gain to be found in dishonoring a lifelong public servant, it is simply wrong. It is not who we are -- or who we should be. is profoundly depressing and disappointing." The cognitive and emotional/psychological decline of the president is clearly accelerating. He is breaking apart before our eyes. It is a remarkable thing to witness; and it’s only going to get worse. We’re in uncharted waters. Peter Wehner has said the same thing about 50 times since Trump was elected. (and he would be right!). 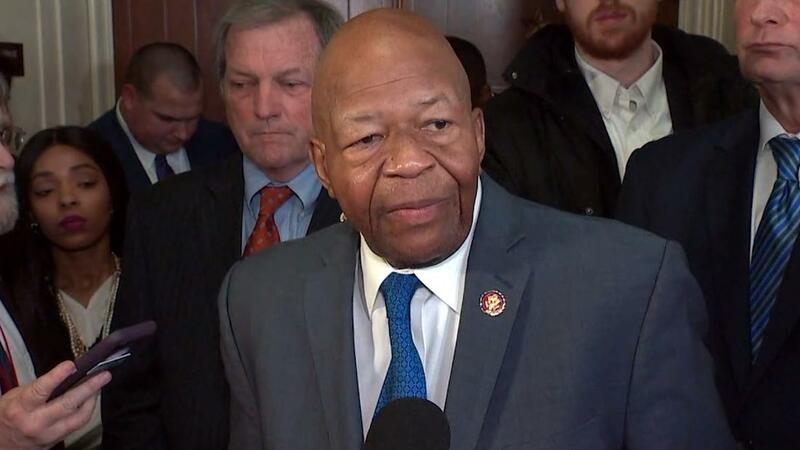 – a violation of a law governing White House records and official policy. It strongly suggests that significant amounts of foreign money was laundered into the Trump campaign through straw donors. A woman listed as a 25K donor to Trump doesn’t remember making a donation.